The ultra-thin Wanbo S5 Portable Home Theatre Projector is fully-capable of delivering large screen video display used at home, office etc. 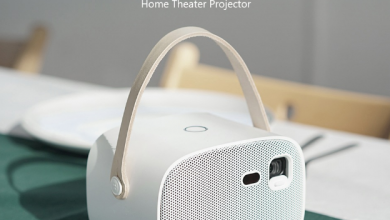 You will enjoy a decent movie experience like theatres at your home with this portable projector by Wanbo. In addition, the projector incorporates various technical features to make your enjoyment unforgettable. It is well-equipped with Android 5.0 operating system, along with Quad-core processor to produce the best picture quality with visual light. Further, its long-lasting battery will serve you uninterrupted visual experience along with high-quality speaker sound. Buy the new Wanbo S5 home projector for just $289.99 from Gearbest. 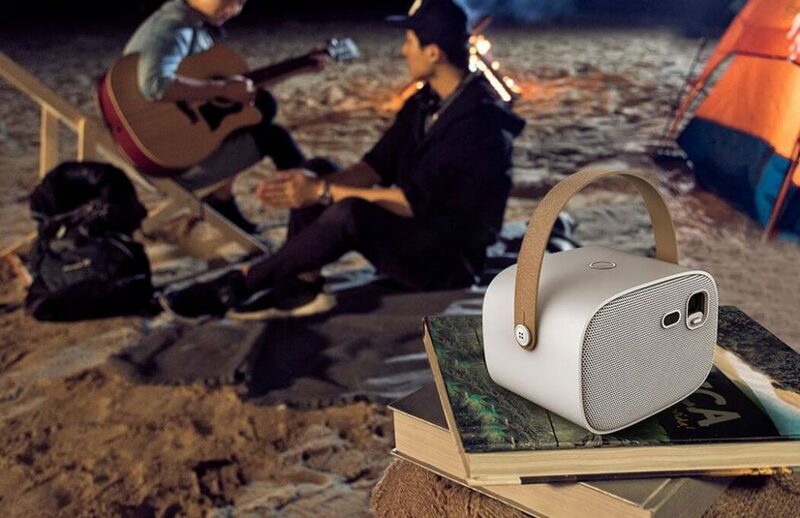 The Wanbo S5 Portable Home Theatre Projector is operated on Android 5.0 platform co-powered by Quad-core processor. It will create amazing picture quality to make your movies and videos more productive and full of fun. It comes with tremendous eye-catching and sleek design with White color. 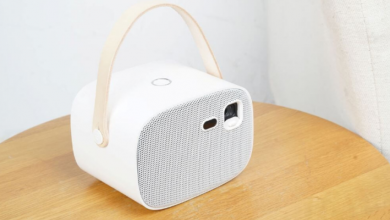 The size is quite compact (L14:W14:H9.70 cm) and can easily be carried to any place. The weight is just 0.8 kg to make it lighter and carryable. 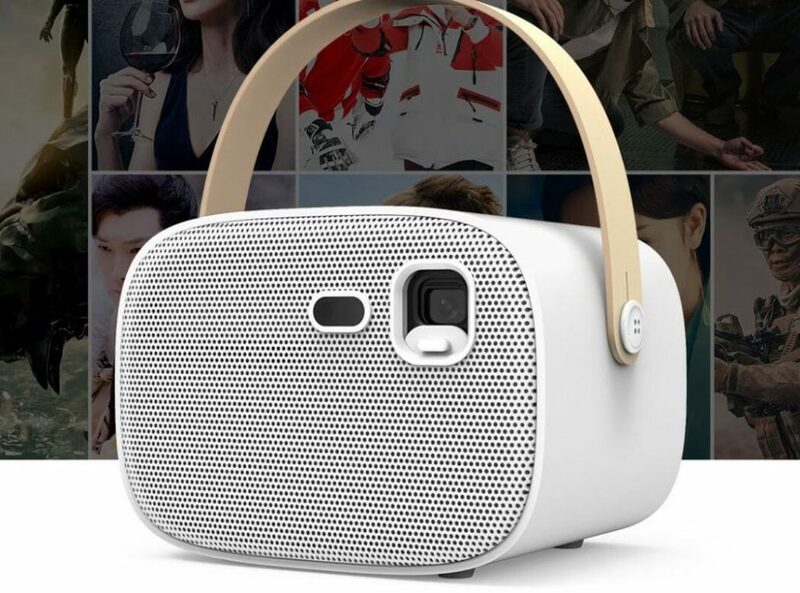 The Wanbo S5 Portable Home Theatre Projector can produce the image size of 30 to 180 inches with a contrast ratio 1500:1 and brightness 200 ANSI Lumens. Your videos will get an amazing resolution of 1080 pixels. The screen is DLP type to make text and images sharper, clearer and brighter. Your eyes will not tire while watching movies for a long time. 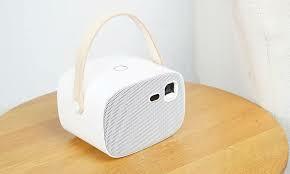 The Portable Home Theatre Projector is designed with inbuilt Li-ion battery with a capacity of 10400 mAh. You will enjoy long movie sessions once charged. Moreover, the remote controller battery is also included in the pack. You can connect it to your smartphones or laptops via Bluetooth v5.0 and Wi-Fi 802.11 b/g/n/ac. Hence, you have smooth and hassle-free connectivity options which also make you wire-free. There are multiple ports for your convenience like HDMI port, DC port, TF card slot, USB 2.0, reset port, Audio port, power indicator, Air hole etc. You can use them as per the requirements to make the moments more enjoyable. 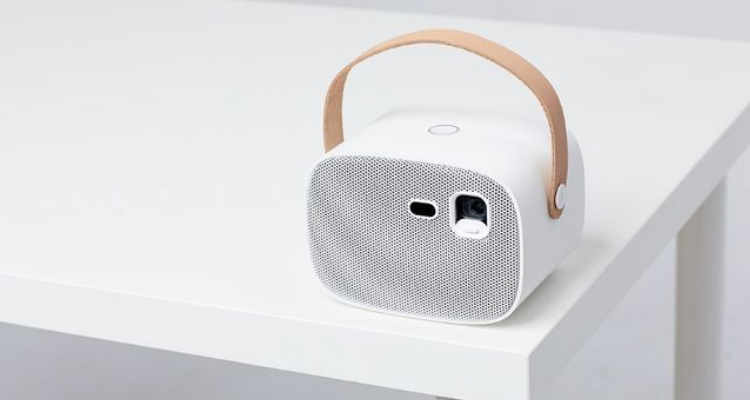 In addition, the Portable Home Theatre Projector supports multiple images and video formats like JPEG, JPG, PNG, MP3, MP4, WMA, GIF, AVI, M4V, VOB, MOV, MPG, WMV, MKV, MPEG, MP1, MP2, TS, TP, inbuilt speakers, LED lamp etc.